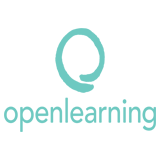 OpenLearning's aim is to inspire, motivate and empower through education. We believe that learning can and should be enjoyable, ongoing, and above all effective. Transformative education enhances people’s abilities, promotes dynamic communication, and fosters a lifelong love of learning. We’re committed to creating fun and interactive communities and want our learning vision to spread far beyond educational institutions, branching into boardrooms, offices, team sports, group work, and right through to retirement. We believe that you should never stop learning, and we want to share our passion for accessible education. An Unloved Story: Lost In Translation / Her 14 weeks long 14 weeks long Self paced No reviews yet. Instructional Design for Effective Learning Self paced No reviews yet. Observing and Analysing Performance in Sport 5 weeks long 5 weeks long 5th Nov, 2012 No reviews yet. Introduction to Box'Tag 5 weeks long 5 weeks long 4th Mar, 2013 No reviews yet. 1st Jul, 2013 No reviews yet. 17th Mar, 2014 No reviews yet. 18th Mar, 2014 No reviews yet. Scaling up Excellence - How to run a world class MOOC 8th May, 2014 No reviews yet. 31st Aug, 2014 No reviews yet. 4th Sep, 2014 No reviews yet. 8th Sep, 2014 No reviews yet. Think like an Engineer 14 weeks long 14 weeks long 30th Mar, 2015 No reviews yet. Kuwait Global Technopreneurship Challenge 7 weeks long 7 weeks long 1st Jul, 2015 No reviews yet. 4th Jul, 2015 No reviews yet. Spark Innovation Within a Team 60 hours worth of material 60 hours worth of material 6th Nov, 2016 No reviews yet. Effective Communication for Successful Leadership 60 hours worth of material 60 hours worth of material 6th Nov, 2016 No reviews yet. Foster Team and Individual Growth 60 hours worth of material 60 hours worth of material 6th Nov, 2016 No reviews yet. Develop business networking skills 60 hours worth of material 60 hours worth of material 6th Nov, 2016 No reviews yet. Effective Financial Management for Small Business 60 hours worth of material 60 hours worth of material 5th Feb, 2017 No reviews yet. Foster Strong Team Relationships 60 hours worth of material 60 hours worth of material 5th Feb, 2017 No reviews yet. Create an Environment of Continuous Improvement 40 hours worth of material 40 hours worth of material 5th Feb, 2017 No reviews yet. Identify and Mitigate Risk 30 hours worth of material 30 hours worth of material 5th Feb, 2017 No reviews yet. Drive an Operational Plan to Success 60 hours worth of material 60 hours worth of material 5th Feb, 2017 No reviews yet. Uncovering the 3 P’s of WHS 50 hours worth of material 50 hours worth of material 5th Feb, 2017 No reviews yet. Create and Launch a Promotional Plan 60 hours worth of material 60 hours worth of material 5th Feb, 2017 No reviews yet.